It is perfect to carry all your supplies. 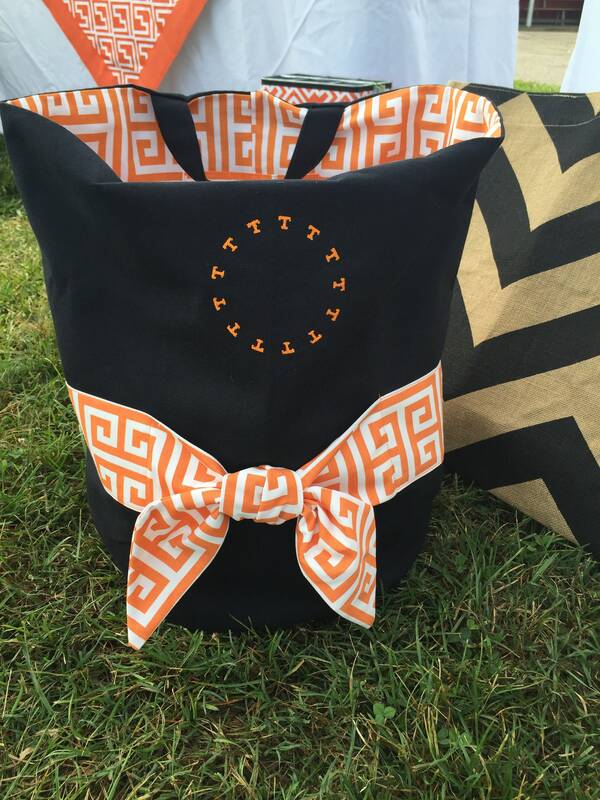 The black tote is accented with a orange T band, with the same contrasting fabric as the inside color of the tote. From tablecloths and plates to beach towels and sunscreen, everything will fit in this tote. Features a monogram with a circle of T's. Please let us know the single letter initial you would like in the comment section of your order.